Call or message to reserve your spot at Steve's Pizza Palace in Platteville for a fast four hour course on the moral, legal and practical aspects of being an armed citizen in a violent world. Learn about the laws, legal protection, equipment, interacting with law enforcement, and getting and maintaining your Wisconsin CCW permit. 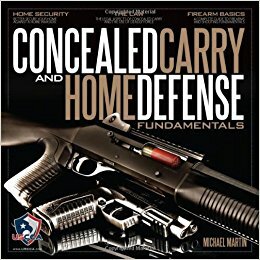 We also cover defense and safety in non-permissive environments like classrooms, where good guys can not be armed. Most classes include those who already have their permit, but want to know more. If you want, you can order some food and non-alcoholic beverages (because we will be handling firearms) and dine while you learn. Cost per person: $65. Because I strongly encourage married couples to train together, husband wife teams take the class for $100 per couple.